Bhutan Culture, Languages, Food, Religion. When considering the history of human dwellings, the use of timber predates the use of stones. Evidence of buildings framed with timber can be found in many countries, including even the pyramids of Egypt. Most virgin primeval forests that existed were used for structural framework and this began to develop into an art. Large temples were built simply using timber and without any metal fasteners. Instead, they were joined together using notches with thick pegs and nails made of wood, and these wooden structures were designed to last for centuries. Slowly, in many countries, woodwork became a profession and the craftsmen became the engineers, architects, carpenters and builders of their age. However, by the mid-nineteenth century, this craft began to disappear from many parts of the world as mechanization of works began when many industries appeared. While most people across the world are trying to rediscover and learn the secrets of this old tradition, the Bhutanese still practice this ancient art termed shingzo. The master craftsman known locally as Zow chen and Zows are instrumental in fashioning intricate designs that goes into the construction of our fortresses-the Dzongs, our palaces, our temples and monasteries and the traditional Bhutanese farm houses. The Dzongs that have its origin in the 17th century features some of the most elaborate wood works and designs that draw appreciation not only from the Bhutanese populace but from outside visitors as well. People interested in becoming carpenters serve as apprentice under a master carpenter for a few years till they develop the confidence to practice the skills on their own. Master carpenters are found all over the kingdom and for every important structure to be raised they are called upon to contribute. A master carpenter who is still revered today is the Zow Balep, whose architectural skills can still be witnessed today in the ancient fortress of Punakha Dzong. 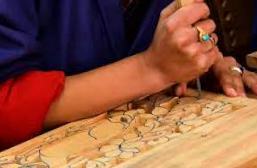 Par zo or carving is another traditional art that has been perfected by the Bhutanese. The major carvings are carried out on stone, wood and slate. The traditional designs crafted on these materials create some distinctive art works. Since Bhutan has been blessed with an abundant variety of wood, woodcarving is seen in a variety of forms. The wooden masks that feature during the annual religious festivals are all carved out of wood besides the many traditional motifs that are engraved on the Bhutanese houses and on Dzongs. Besides, a unique wood carving that draws attraction are the phalluses of various sizes and shapes that are hung on the four corners of the Bhutanese houses and stuck onto the main entrance of the door ways. These carved wooden phalluses are also displayed by the Acharyas- the clowns during the religious festivals as a sign to bless the spectators and drive away the evils and misfortunes. Another important art that is being practiced is the art of slate carving. The master craftsman is known as Do Nag Lopen and the material used is the slate found in abundance in both western and Eastern Bhutan. While slate carving is not as diverse as stone and wood work, yet one can come across many religious scriptures, mantras and images of deities being carved onto slates besides the religious figures. Slate works are fund mostly in religious places such as Dzongs, temples and chortens. Another important craft that has survived in Bhutan is the stone carving. While it is certainly less evident, yet the water driven grinding mills are classic examples of stone works. The huge grinding mills are still used by people in the far flung villages of Bhutan. One can also come across hollowed – out stones used for pounding grains and troughs for feeding cattle and horses. practiced since antiquity, painting captures the imagery of the Bhutanese landscape. 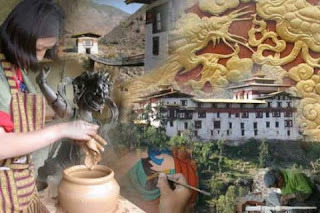 The work of master painters known as Lha Rip are reflected in every architectural piece be it the massive Dzongs, the temples and the monasteries, the nunneries and the stupas or a modest Bhutanese home. Indeed, paintings and the varied colors and hues epitomize the Bhutanese art and craft. The art of painting is revered and painters are believed to accumulate merit. Young novices are taught by the master Lha Rips and the huge scrolls of thangkha or thongdrols that depicts religious figures and displayed during religious festivals are some classic works. A mere sight of these huge scrolls is believed to deliver us to nirvana. Thus, it brings merit not only to the believers but for the painters as well. The materials used in Bhutan are the natural pigmented soils that are found in most places in the country. These natural soil pogments are of different colours and are named accordingly. The black lumps of soil is known as ‘sa na’, and red lumps as ‘Tsag sa’, for instance. Jim zo or clay work is an ancient craft having been practiced and passed on over the centuries. This art work preceded other sculpture works such as bronze or other metal works. Statues of deities, gods and goddesses and other prominent religious figures in fact exemplify clay work in Bhutan. Every monastery, temple and the Dzongs have in them installed clay statues from where pilgrims and devout Buddhists draw their inspiration from. The master craftsmen are known as Jim zo lopen and the skill is imparted to the young novices through vigorous trainings spread over the years.Besides the clay statues, the tradition of clay potteries is still alive though much of the potteries are now being used as show pieces and flower vases. While the art of modeling statues are confined to men, the art of pottery is normally the handiwork of women. 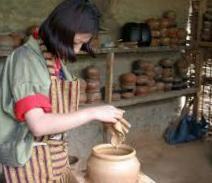 While we find three distinctive types of clayware: earthenware, stoneware and the china-clayware, in Bhutan, we find only the first type, the earthenware. What is required for success in the work on clay is the composition of clay by using balanced materials, skills in shaping the wet clay and firing to the correct temperature. The baked items were then coated with lac to render them waterproof. While this tradition is almost dying the women of Lhuentse and Paro still try and keep this tradition alive. commonly used to cast containers such as cups, urns, and vases. People also shaped bronze into battle-axes, helmets, knives, shields, and swords. They also made it into ornaments, and sometime even into primitive stoves. Bronze was developed about 1500 BC by the ancient Sumerians in the Tigris-Euphrates valley. Historians are unsure of how this alloy was discovered, but they believe that bronze may have first been made accidentally when rocks, rich in copper and tin, were used to build campfire rings. As fire heated these stone, the metals may have melted and mixed, forming bronze. This theory is supported by the fact that bronze was not developed in North America, where natural tin and copper ores are rarely found in the same rocks. Bronze appeared in both Egypt and China around 2000 BC. The earliest bronze castings were made in sand, and this method is still used today, even for casting bells. However, clay and stone moulds were developed later on. Clay is usually used nowadays for making bells. Bronze casting in Bhutan was introduced only in the 17th century and was mainly spread through the visiting Newari artisans that came from Nepal. The Newars of Nepal were first invited by Zhabdrung Nawang Namgyal to cast bronze statues and religious items such as bells and water offering bowls. It was through these artisans that the art was introduced and today, a lot of Bhutanese people are into bronze casting. The art of wood turning is known as Shag Zo and is traditionally practiced by the people of Trashiyangtse in eastern Bhutan. As a vibrant art, the master craftsmen are known as Shag Zopa. 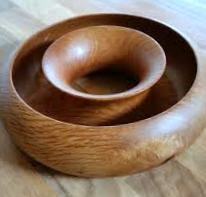 They are famed for wooden cups and bowls traditionally known as dapas and phobs. These wooden bowls made of special wooden knots known as Zaa are highly priced and till the advent of steel and brass plates were once used as plates by the Bhutanese people at large. Today they are being sold to the outside visitors and offered as gifts. Another village that practices wood turning is the small village in eastern Bhutan known as Khengkhar. The villagers here are known for producing traditional wooden wine containers known as jandup. 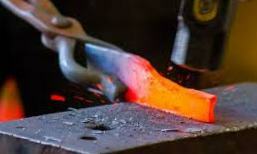 The art blacksmithing began with the Iron Age when primitive man first began making tools from iron. Thus, the art of crafting the crude metal found in certain type of rocks and soil into a usable implement has been around for a long time. Some of the tools that man used were spear or arrow-tips, crude axes and knives as well as agricultural implements. Iron smelters were small furnaces built from rock that could withstand repeated heating. These furnaces looked like bee-hives with an opening at the top and an entrance on the side. The furnace was filled with iron-ore and charcoal and then set to fire. When the temperature rises above 2,800 Fahrenheit, the iron flows and forms balls, which are later hammered and made into various implements. Black smithy in Bhutan began sometime in the late 14th century and it is believed that it was introduced by a Tibetan saint known as Dupthob Thangtong Gyalpo. He has been revered as the master engineer for his skill in casting iron chains and erecting them as bridges over gorges. In Bhutan, he is supposed to have built about eight suspension bridges and one can still come across a bridge over Paro Chu linking the highway to the famous Tachog lhakhang in Paro. One can also come across the remains of these once highly used iron chains in Trashigang and at the National Museum in Paro. While black smithy is almost a dying art, yet one can still come across the Tibetan settlers especially in Trashigang practicing this art. Ornaments are widely used by the Bhutanese women and the tradition of making ornaments is still vibrant in Bhutan. Master craftsmen who skill in shaping beautiful ornaments are regarded as Tro Ko Lopen. 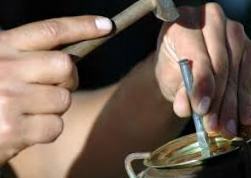 Using precious stones such as corals and turquoise, silver and gold, these master craftsmen shape out ornaments such as necklaces, bangles, earrings, rings worn on fingers, brooches, amulets to contain ritual objects, traditional containers to carry the much chewed beetle nuts, ritual objects and many more. , containers known as Palangs and bangchungs are all made of bamboo. However, the people of Kangpara in eastern Bhutan and the Bjokaps of Central Bhutan are pioneer master craftsmen. Their products are now sold out to tourists earning them an additional income. Paper-making is another art that has found roots in Bhutan. People engaged in producing the traditional Bhutanese paper or De zo are known as Dezop. 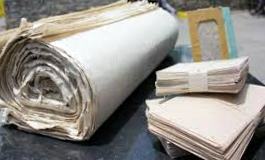 Traditional papers were widely used in the past and most of the religious scriptures and texts were written on Dezho’s using traditional Bhutanese ink and at times in gold. 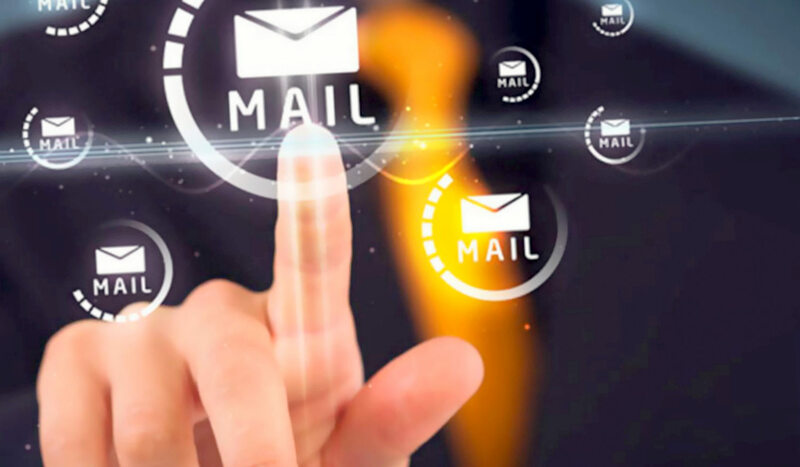 While the presence of readily available modern paper has overtaken the market, yet people still produce Deshos which is used as carrying bags, wrappers for gifts and even used as envelopes. The art still continues in Trashiyangtse where the raw material is readily available. Tzhem zo or the art of tailoring is a popular art amongst the Bhutanese. This art can be broadly classified as Tshem drup or the art of embroidery, lhem drup or the art of appliqué and Tsho lham or the art of traditional Bhutanese boots. 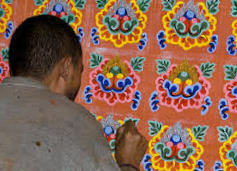 The art of embroidery and appliqué are normally practiced by the monks. Using this art they produce large religious scrolls known as Thangkas that depicts Gods and Goddesses, deities and saints. Traditional boots are normally the work of Bhutanese lay men. These boots worn by officials during special functions and gatherings are made of leather and cloth. While boot making is n old craft, its origin is unknown. Special craftsmen in the villages also make simple boots from uncured leather. However, this is a vanishing practice in the villages though it has picked up recently in the urban centers with support from the government. The third category is the simple tailors that skill in sewing the Bhutanese traditional dresses known as Gho and Kira. An integral part of the Bhutanese life is the textile. 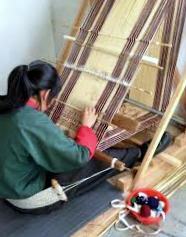 As such the art of weaving is widely practiced in Bhutan. However, women of eastern Bhutan are skilled in weaving and some of the highly priced textiles are all woven by them. In the past, textiles were paid as tax to the government in place of cash and people from western Bhutan travelled all the way to Samdrup Jongkhar to buy woven textiles. Textiles are woven of cotton, raw cotton and silk and intricate motifs are woven into the cloth. Adang village in Wangdue Phodrang is known for textiles such as Adang Mathra, Adang Rachu and Adang Khamar while the Bumthaps in central Bhutan are kown for Bumthap Mathra and Yathra, both textiles woven out of Yak and sheep hair. People of Nabji and Korphu in Trongsa are known for textiles woven out of nettle fibers. Weaving is also a vocation amongst the Brokpas of Merak and Sakteng. Men contribute in spinning wool into threads. They weave from yak hair and sheep wool. There are four types of looms that are used by the Bhutanese weavers. They are the blackstrap looms, the horizontal fixed looms, the horizontal framed looms and the card looms. The predominant type is the back strap loom and is used mostly by weavers from eastern Bhutan. They are set up on the porches or in thatched sheds to protect weavers and the cloth from the sun and rain. Card looms and horizontal frame looms are also used. The back straps are the indigenous looms while the horizontal frame looms and the card looms made their entry into Bhutan from Tibet. 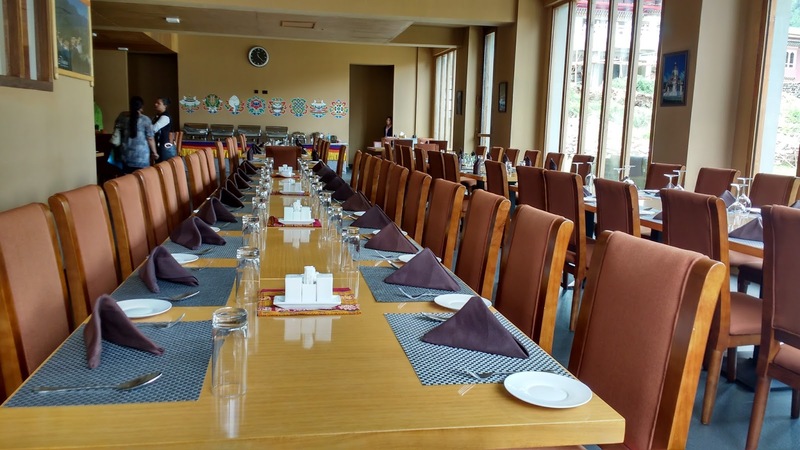 We ensure that the best available accommodations are arranged for our guests throughout Bhutan. 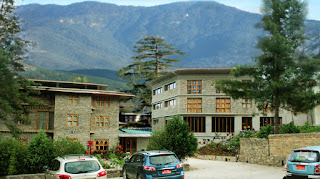 Hotels in western Bhutan are better, while accommodations in the central and eastern part of the country are more modest, with fewer amenities. Hotel luxury ranges from no star accommodations to four star resorts . During peak season hotels do not give confirmation in advance, so we can only provide hotel names and details 21 days before arrival. 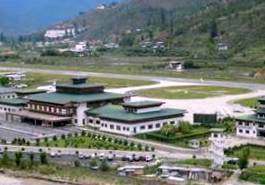 Phuentsholing: Bhutan residence, Lhaki Hotel, Hotel Druk, Centennial Hotel, Hotel Namgay, Sinchula Hotel & Central Hotel. 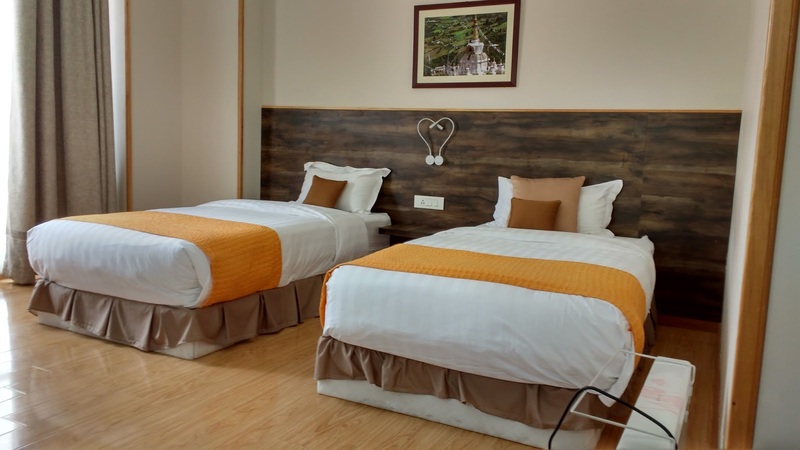 Thimphu: Phuntsho Pelri Hotel, Peaceful resort, Hotel Migmar, Kisa Hotel, Hotel River view, Hotel Motithang, Hotel Pedling, Hotel Jumolhari, Hotel Pine Wood, Hotel Wangchuk, Hotel Taktsang, Druk Tshering Guest House, Hotel Kelwang, Bhutan Suites, Wangchuk Resort & Hotel Dragon Roots. Punakha: Hotel Pema Karpo, Hotel Zangtho Pelri, Hotel Meri Punsum, Y. T Hotel, Puna Tshangchu Cottages, Damchen Resort & Singye Lodge, vara Hotel, and Dupchhu Resort. Wangduephodrang: Kyichu Resort, Tashiling Lodge & Dragon Nest Resort. Gagntey: Hotel Dewachen, Yue Loki Guest House, Theckchenphodrang Lodge, Phuentshochholing Lodge & Gakling Lodge. 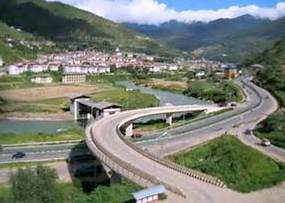 Thimphu, one of the culturally must-see places, is the charming capital city of Bhutan. 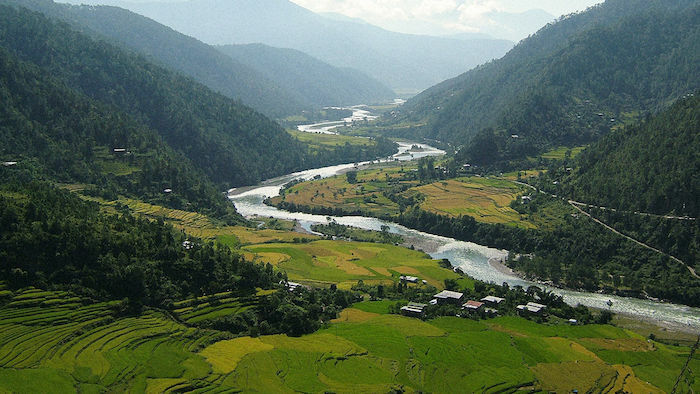 Thimphu is nestled in the Himalayas with a stunning view of the Chuu River flowing through it. Interestingly, it is the only city in the world with no traffic lights. 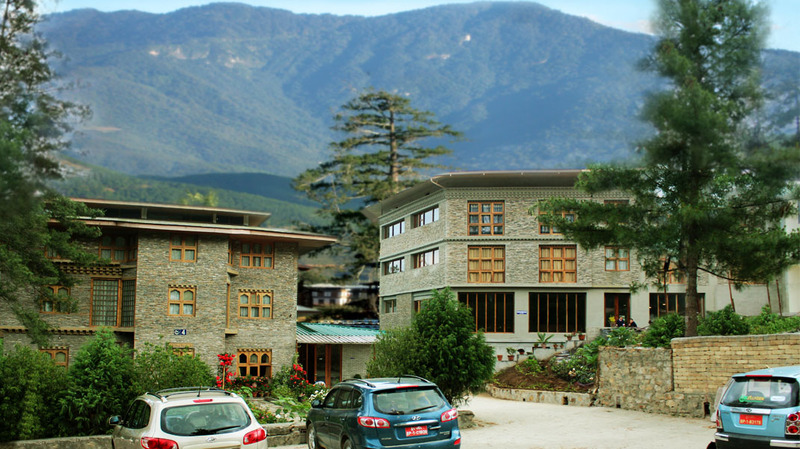 Thimphu has retained its culture and old world charm since modern development is closely monitored and new buildings can be built only in Bhutanese style and up to a certain height. 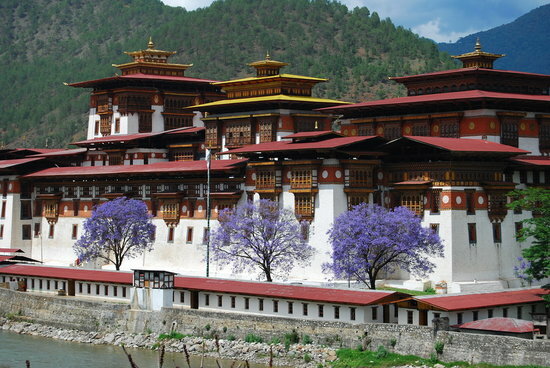 Go for "Bhutan the Last Shangrila Tour" and explore the top landmarks of Bhutanese capital. Basically, Tashichho Dzong, National Memorial Chorten and Motithang Takin Preserve are the top attractions of Thimphu for visitors. Paro, the foremost must-see place in Bhutan, is a stunning valley, surrounded by lush green rice fields. Paro is an historic town with many sacred sites and historical buildings scattered throughout the area. Paro, along with Jakar and Punakha, forms the ‘golden triangle’ of popular destinations in Bhutan. 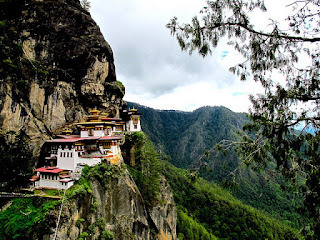 Likewise, craggy mountain hills, undisturbed serene beauty, and the fresh clean mountain air make Paro a peaceful and magestic place to visit in Bhutan. In Paro, is home to Rinpung Dzong, a popular place for tourists. Rinpung Dzong is one of the finest examples of a Bhutanese monastery. The Dzong hosts the Paro Tsechu - festival of masks. Beyond this, the National Museum of Paro is also popular as it exhibits rich stamp collections, slate carvings, Thangka paintings, prehistoric items, jewellry, traditional weapons and other articles reflecting Bhutanese culture. Phuentsholing, another must visit place in Bhutan, is a small town with clean environment. 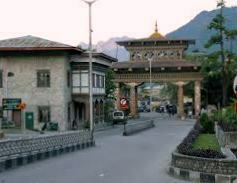 The chief tourist attractions in Phuentsholing are Amo Chuu, the Crocodile Breeding Center, Chukha Hydrothermal Project, the gate at the border (called Bhutan Gate) and Karbandi Monastery. The natural beauty of Phuentsholing forcefully captivates you. It is perfect place to visit for those people who love nature and want to remain in solitude. Bumthang Valley, the spiritual heartland of Bhutan, is full of most ancient and precious Buddhist sites. Located at an altitude of 2,600 meters, this religious hub of Bhutan houses some of the oldest Buddhist temples. Jakar, the main town in Bumthang Valley surrounded by undulating terrain filled with apple trees and numerous temples, is a tourist’s delight. The Tiger’s Nest Monastery hangs on a cliff and stands above an enchanting forest of blue pines and rhododendrons. As this beautiful and very exceptional monastery is a sheer climb the hill (900 meters), a pony can be arranged for the ride up to the cafeteria. From then on, it is another steep walk and some narrow stairs towards the monastery itself. The trail crosses a chapel of butter lamps and descends to a waterfall by the Snow Lion Cave. The view of the Paro Valley from here is breathtaking, and the atmosphere very holy. The Tiger's Nest is a place where every Bhutanese will want to come at least once in his/her life. It's the place where Guru Rinpoche, arriving on the back of a tigress, brought Buddhism into Bhutan. The second oldest and second largest dzong in Bhutan, Punakha Dzong, or some call it Pungthang Dewachen Phodrang (Palace of Great Happiness), is the country’s most gorgeous and majestic dzong. Punakha is accessible by a 3 hours drive east of the capital Thimpu, and after crossing a pass through glorious and breathtaking mountains. Punakha Dzong is placed strategically in between two rivers, Pho Chu (male) and Mo Chu (females) that have noticeable color differences between the rivers’ water. Punakha Dzong is joined to the mainland by an arched wooden bridge and contains many precious relics from the days when successive kings reigned the kingdom over this valley. 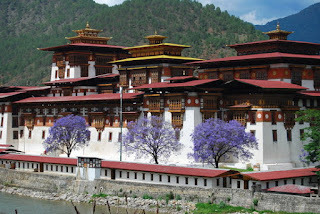 Furthermore, it is blessed with a temperate climate, and lovely lilac colored jacaranda trees which grow around the dzong during the spring season. The peak of the Zuri Dzong Trek is a perfect spot for a bird-eye view of the entire Paro valley. The Zuri Dzong is the oldest Dzong in Bhutan, and within it lies a cave where Buddha came to meditate during the 8th century. This peaceful place allows both Bhutanese and visitors to soak in the tranquility. One can stare at the extraordinary view for hours in wonder and awe. The total journey time to get there will take approximately 30 minutes if one starts from the museum watchtower, and an additional 1 hour to to travel toward Uma. Tourists can expect to sit and relax there, and also hike through Trek to see the amazing side-view. The valley of Gangtey is one of the most stunning valleys in the Himalayas, and many call it the Shangri-La of Bhutan, just as how Bhutan is well known for being “one of the world’s happiest nations,” and “the last Shangri-La on Earth.” The surprise of finding such a wide, flat valley without any trees after the hard climb through dense forests is augmented by an impression of vast space, which is an extremely rare experience in Bhutan as most of the valleys are tightly enclosed. This moderate trek visits the villages of Gogona and Khotokha, passing through meadows and fields, then forests of juniper, magnolia and rhododendrons, which will be in full bloom in April. Besides the attractive scenic valley and mountain trails passing through the magnificent forest with its undergrowth changing from rhododendron and magnolia to ferns and dwarf bamboo, we can also visit the historical Gangtey monastery and the blacked necked crane information centre. Additionally, there will be a special treat for those visiting the Gangtey during the winter season, as they will be able to catch the graceful Black-necked Cranes heading to the roost. Nestled deep within the Himalayas, Bhutan is a treasure trove of biological diversity with an unparalleled richness of flora and fauna due to the varied altitudinal and climatic conditions present in the country. 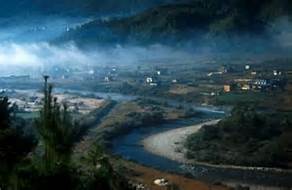 This fragile ecosystem has remained unspoiled due to the conservation efforts of the Bhutanese people and government. Today 60% of the kingdom’s total area has been designated as protected nature preserves. Bhutan is the perfect destination for enthusiastic horticulturalists as it contains more than 60%of the common plant species found in the Eastern Himalayas. 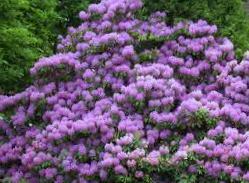 It also boasts of approximately 46 species of Rhododendrons and over 300 types of medicinal plants. Junipers, Magnolias, Orchids, Blue Poppies (the national flower), Edelweiss, Gentian, various medicinal herbs, Daphne, Giant Rhubarb, Pine and Oak trees are among the plants commonly found. The kingdom is also home to a wide variety of animals. 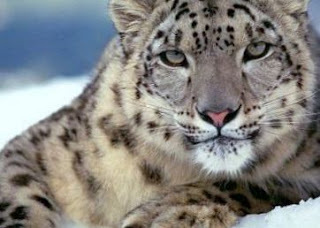 At higher altitudes you will come across snow leopards, blue sheep, red pandas, takin, marmots and musk deer. Leopards, gorals, gray langurs, Himalayan black bears, red pandas, sambars, wild pigs and barking deer are found in the temperate zones. The tropical forests in the south are a haven for clouded leopards, elephants, one horned Rhinoceros, water buffalos, golden langurs, gaurs, swamp deer, hog deer, horn bills and many other species. Bhutan is home to the highest altitude inhabiting Tigers in the world and they are commonly found throughout the country. Visitors can experience the magnificent flora and fauna of Bhutan through sightseeing tours or by embarking on treks and hikes through beautiful virgin forests, pristine Himalayan Mountains and across sparkling crystal clear rivers fed by ancient mountain glaciers. Roads in Bhutan pass through the rich forests so travelers can experience the majestic natural environments of Bhutan.